One of the things that leave me envious when talking to my 9-5 friends is the office antics and bonding with colleagues. Don’t get me wrong, most of the time this is counter-productive and in my case, irritating – but in some way, they all have ‘the office’ in common. As freelancers we might be on a first name basis with the local coffee shop owner, or that ‘guy’ that gives you the wifi password – but we don’t have that sense of camaraderie. That’s why I feel that is important to find your ‘peeps’ within the freelance industry, even if they are on the other side of the world. I cannot begin to explain how many times I’ve had try and convey what it is that I do on a daily basis. Even though your friends and family are trying to be supportive it just doesn’t always sound that way. I’ve gathered that most people in my life think that I do work, but that I’m always available. This is a common misconception – and one which you can commiserate about with your freelance friends. One of the trickiest parts of freelancing is establishing your rates. You might be underselling yourself big-time and will only notice this once you start chatting with other freelancers. This was the case with me the other day. I felt that I’ve had a fair amount of growth in my business and I was happy with my rates. I connected with another freelance friend only to realize that he has fewer years of experience than me, he doesn’t have a degree, and he is charging WAY more. This is both eye-opening and inspiring, and you need to mingle to know these things. Although few and far in between, we freelancers get times where we have too much work for our plates. In this case, you would refer your client to one of your industry friends. Someone that you trust and you know delivers quality work. It’s only by connecting with other freelancers that you will be able to recommend their services. Of course, establishing such a relationship would mean that you might have some referrals coming your way as well. Freelancers are responsible for creating their own ‘ladder’ that they need to climb. It’s never so obvious what your ranking is within freelancing. Self-motivation and discipline are what will set you apart from your competition. The best advice anyone can give a freelancer is to get a mentor or expert and learn as much as you can from them. These individuals will be able to give expert advice, industry tips and guide you to becoming successful. Twitter – Create a list on your Twitter account just for writers. Search hashtags such as #freelancers #writers #remote to find these hidden freelance gems. Start out by interacting with them on Twitter, responding to their tweets, etc. After that, you could ask them if you could chat via email or Skype. Facebook – On Facebook, you can join a variety of pages and groups aimed at freelancers. Join in on the conversations and give your opinions and advice where applicable. Google Plus – It’s rather easy to find freelancers on portals such as Google Plus because of its specialized search. There are numerous communities where you can interact with other freelancers. 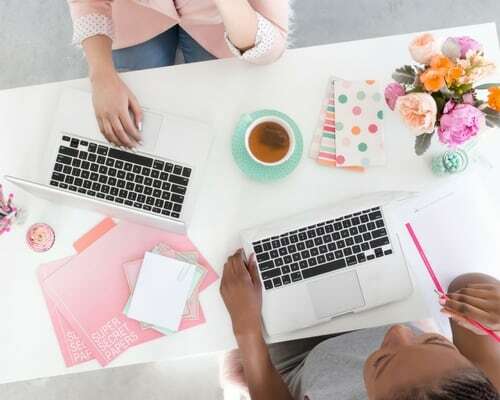 Your Favorite Blogs – The best way to find freelancers that you admire is to connect with those authoring your favorite blogs. This way you know that you already have a few topics in common and they are credible enough to connect with. 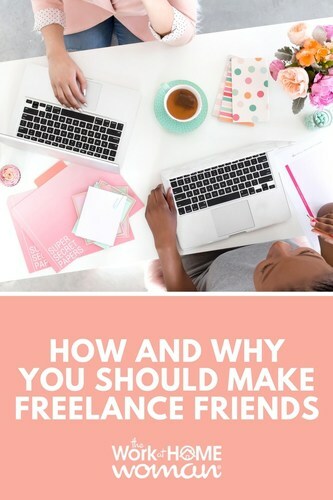 These are just a few reasons why you should connect with other freelancers, and you can find them. I’m always open to meeting new industry friends – so you are more than welcome to join me on Twitter @papierpop. Anneke Steenkamp is a Freelance Writer at The Joy of Unemployment. When she’s not typing away at client content she’s perfecting her Facebook stalking skills and spending time with her pet dog, Zoey. Great post! I’ve followed you on Twitter and I’m looking forward to connecting with you. :) Hope you’re having a great day ladies!